Girl Scouts Cashing in on Pot Sales. Is that so Wrong? I’ve got the cure for the marijuana-munchies, step right up, don’t be shy. Disclosure time. I was never a Girl Scout. Not even a Brownie. Simply not biologically eligible. Nope. And for that matter, going on camping trips with lots of other boys never really fired me up either. So, while I had that option, I chose not to be a Boy Scout. There are times I regret not being able to show off my Badge-Bling but we make our decisions and then we have to live with the good and the bad. I still sold plenty of chocolate bars, it was just for Little League base-ball and in all honesty, my family ended up buying most of the boxes. If it’s any consolation though, I have bought my share of Girl Scout cookies over the years. The ones with the peanut-butter are in a word-addictive. And speaking of addictions, seems several adorable and entrepreneurial little Girl Scouts are cashing in on legalized marijuana. Just look at these adorable sugar-enablers…who could say no? Yummy in every box, and it will only seem like a month’s salary. You bet. These little entrepreneurs with sashes are selling their cookies as if they were, well, hot cakes. But seems like some political spoil sports want to shut down these profit-making Girl Scouts. They argue that this is sending the wrong message to future Mrs. Fields-type CEOs. They want to ban Girl Scouts from selling so close to marijuana dispensaries and that pot and GS cookies are a bad recipe, so to speak. Parents of the Girl Scouts who have been selling their cookies by the dozens of boxes seem to be reciting the Real Estate creed-you know, location, location, location. And boy, I mean, girl, have they got some prime cookie-selling real estate on their hands. However, this year’s Girl Scout cookies which cost $4.50 per box for say 18 thin mints and will be part of over $500 million in GS cookie sales will only net about 18% to the actual scout for every box sold. The rest will go to the baker/manufacturer of the cookies and to the GS Council. The bottom-line is that these young girls of whom the GS National association claims that about 80% of our nation’s female business owners were Girl Scouts have to sell a factory full of rather pricey cookies to win prizes and earn money for things like camp tuition. And we, sympathetic Girl Scout cookie buyers foot the bill. As for the Boy Scouts? They sell lots of other items, most frequently, popcorn. Sorry, boys, that just doesn’t scratch that itch right after a dose or two of the cannabis. We salute you Girl Scouts. We just wish we had thought of going the cookie route, first. Are they not just “helping people” afflicted with the munchies? As one of the medicinal marijuana users and buyer of a box of S’Mores confessed, that yes, the world was indeed a better place. Though, I’m not sure his euphoria was a result of the pot or the cookies. maybe, both. So, will our sash-wearing, bling-badge-earning girl scouts be permitted to continue to be very crafty in where they choose to sell their cookies? I, for one, am convinced that they are learning a valuable lesson about basic capitalist economics: Where there is a demand be sure and be the one providing the supply. It’s just I wish they would do so at a more reasonable price. Those S’Mores are gonna break my budget. « AZ: No Shoes, No Shirt, Gay, No Service. No Way? Way. I was a Girl Scout for a few years (mostly against my will) and cookie sales were the top priority. We talked strategy, game plan, and competition between not only each other, but other troops. I agree that the location they’ve chosen is a gold mine and will produce an increase in sales. Marijuana is being legalized and laws are changing. Sure, parents are going to have some moral issues with it, but times are calling for a more open-minded attitude. Girl Scouts stress those cookie sale numbers, so I say go for it! Do whatever it takes to get yourself the most prizes. Denise-spoken in true Girl Scout “Can Do” spirit. Girl Scouts rule! I agree with Denise. I too was a Girl Scout (also agains my will). 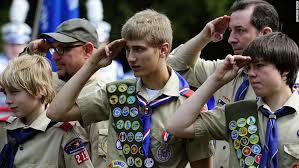 For some reason growing up being the only girl out of 9 I thought that Boy Scouts was cooler. Just saying. But selling cookies was the worst. It was like that new movie series that just came out Hunger Games. Parents were upset because other Scouts had taken their spots. But after the first few days the parents got to together to see who would take which Wal-Mart, Publix, and/ or church. It was game on. The months before the sale session every meeting was about who was going to sell where and it became hell. I wish they had legalized pot when I was growing up. It would have made selling a whole lot easier. When push comes to shove its all about the numbers and sales goals. Not where and how you sold them. Selling girl scout cookies in front of marijuana dispensaries is probably one of the smartest ideas I have ever heard. It reminds me of a term I learned in high school Economics: complimentary good. The cookies just go with the product. It’s like selling butter outside of a bakery or sprinkles outside of a Ben & Jerry’s. I think prohibiting these girls from selling those cookies from the gods near marijuana dispensaries not only teaches them that selling weed is an illegitimate business (because it’s legit) but it will inhibit their potential sales. These are the girls that are going to do some great things when they grow up, because that’s creative thinking at it’s finest. And you’re right – in a state where the sale of marijuana is legal, it does send the wrong message to kids when they are forbidden to sell their product outside. However, I understand the reasoning – marijuana, like alcohol and tobacco products, are a controlled substance. They aren’t allowed to sell cookies outside of liquor stores, either. So by not allowing them to sell in from of the marijuana business, they are being consistent with their rules. I personally think this is a bright idea…better yet a very smart marketing plan. The Girls Scouts are selling outside of legally licensed weed selling establishments, it is not as if they are selling outside of illegal drug houses where they could possibly encounter all sorts of weird types of people. Their cookie purchases are being sold to ordinary people, full time workers, senior citizens, students etc…..ordinary people who are able to buy marijuana legally. Girls Scouts has been around forever and as more organizations have fundraisers, the key is to be as profitable as possible to get as much as revenue as possible. It sounds like from recent reports, the girls have been very profitable in their sales. To be honest, it is not too different from setting up a table outside of Wal Mart. I don’t see anything wrong with the newest marketing venture…I am sure other organizations will follow suit during their fundraising time frame. I feel like where the Girl Scouts were selling there cookies is a good place to make money. Why make the girls stop what they are doing since it is legal for people to have the drugs in the first place. The girls are not breaking any rules and they are not hurting anyone. I think there choice of location was a very smart idea. I think the girls should get to continue where they choose to sell the cookies, especially since it is making them money and not harming anyone. While I was never a Girl Scout, I was a 4-Her, so I definitely did my fair share of fundraising. I personally think this idea is genius. Yes, it may not be held to the highest moral standards, but they are hands on learning supply and demand. If these people are willing to spend $4.50 to satisfy the munchies, why not sell them? I think people need to realize that times are changing, and if they’re not going to go along with it, they’re going to get left behind. And on the bright side, at least after someone purchases their marijuana, they can help contribute to a wonderful non profit organization! I do think it is a smart idea to sell cookies there since they are probably selling a lot of cookies, However, I do not support the legalization of marijuana. I just hope them selling these cookies around all of the marijuana businesses won’t effect them in a negative way. Trefoils (shortbread) are my favorite, and I have been avoiding girl scouts in the front of stores like the plague. I think this idea is brilliant. Location, location, location! If hunger “strikes” those who are leaving the marijuana dispensaries, then the Girl Scouts are definitely have the advantage with supply and demand, and are smart to capitalize off of it. If this was a diner or a McDonald’s building up are legalized dispensaries it wouldn’t even be news worthy. With that being said my concern is whether the girls know what is actually going on. Although it is legalized in areas, that doesn’t mean that the topic of marijuana is exactly age appropriate. I definitely think if they are going to sale their cookies in front of legalized dispensaries then they should have to earn a badge on being drug free (If they don’t already have that type of badge. I’m not familiar with Girl Scout badges). Car-ra, that is an outstanding idea! Earning a drug-free badge! Any Girl Scouts out there? is there such a badge? Out of curiosity, I asked a friend of mine who is a Girl Scout Guru, and although she’s not seen a drug-free badge (GENIUS idea, BTW), you could do a “create your own” and earn it. I think these little girl’s are like little Einsteins, to come up with this remarkable game plan to sell great cookies that most American’s endeavor over at a pot dispatcher. I for one am a huge thin mint, and tagalong person. They are just so good. These are also part of our next generation of leaders were talking about. Everyone likes to eat after smoking some cannabis. To think though that you go into the store maybe high maybe not, you see these cute little trying to sell you delicious food, you cant say no. unless you forget why your were there in the first place. Everyone needs some food to go with there cannabis. So its great marketing scheme whether the smoker has smoked yet or not, they could go into the store buy the cannabis and realize “oh im going to get hungry should buy some of these cookies so i can hurry up and get home”. or even after when they are trying to crave the munchies. overall though i think its a great marketing scheme, and good for the girl scouts who are doing this. Except whose idea was this, its weird to thank such little girls know to set up outside of a pot place. So i have to give the good job to the parent’s who want to make sure there daughter gets a cookie badge. Wow. Lol. These girls are smart. They are making that money. They are also using their resources very wisely. I mean they see where the demand is high and they supply. I dont think they should be regulated. I mean they are selling cookies, and who doesn’t want a cookie. I think this is an awesome idea but truth be told it was probably a mom, a dad, or a smart aleck older brother who gave them the idea. I mean, how many 10 year olds know about the munchies — that type of knowledge usually does not come along until like age 11 when the kid hits middle school. But I digress. Girl scouts are taught to be resourceful and this is a good example. If they could start adding a memory improvement game or a cognitive word building puzzle to the back of the box like a cereal box to help stimulate those remaining brain cells as the cannabis user enjoys their cookies then that may be consider a community service or at least offering a helping hand to those in need and I think that fits into the girl scout creed as well and could help them earn a service badge. Maybe the top seller could earn a “Just say cookie dough to drugs” badge instead of Just say no to drugs. leslie– Just say cookie dough to drugs is brilliant!! You hit the proverbial nail on the head: the girls selling cookies outside dispensaries have a strong handle on the basic supply and demand concept that drives economics. Selling Girl Scout cookies outside a dispensary certainly generates some judgmental whispers (likely from those who wish they’d come up with this genius “business plan” first), but let’s be realistic: it’s not like they’re setting up shop in some sketchy neighborhood across the corner from a crack dealer. Local Councils on this side of the U.S. would balk at the idea and will regulate in front of which businesses these cherubs can sell (think strip clubs, bar-ish type joints, gun shops…). Councils in Cali haven’t taken issue with it, though, so why should we? It is legal in Frisco after all. It echoes of the Boy Scout/homosexuality controversy or the recent bills shot down in AZ and GA. Councils who refuse to acknowledge the sales/profits (stupid much?) from these venture-capitalists-in-training are no different. Naturally, the naysayers will air their concerns about exposing these innocent kids to DRUGS. Um. Newsflash: they’ve been around it their entire lives, and having your “card” is the norm. And guess what else? There are kids who have cards, too, and momma or daddy (or other guardian) can consent to it. THE HORROR, right? So, let’s recap here: we’ll estimate about 25% (and that’s low-balling it, IMHO) of the state carries a card. They can have cards, too. It’s not taboo. So the uproar is about what? I see nothing wrong with this picture. The idea of selling Girl Scout cookies in front of the legalized marijuana dispensary is obviously a great marketing strategy. It is all about supply and demand in relation to the customer. As long as it is legal and ethical, I have no problem with this. The Girl Scouts are simply taking advantage of a prime location as evidence from their sales there. This is building a foundation for future entrepreneurs in our free enterprise system. I think that this is time better spent for these Girl Scouts than many of their friends outside of scouting who are on the couch playing video games. I think that it’s a wonderful idea. It’s good business thinking to go to where the money is. 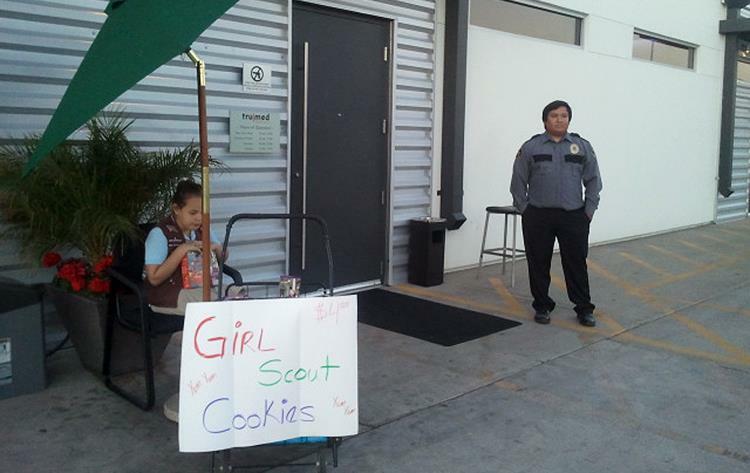 The prime spot for Girl Scout cookies would therefore be to post up outside of pot dispensaries. Munchies and pot all in a convenient one stop shop. I was once a Girl Scout in my younger days, and I must say selling girl scout cookies has taught me how to “Hustle”. My mom, sister and I would have our own little booth outside of workplaces in our small town and we would be selling cookies left and right (people still ask us till this day do we have any girl scouts cookies left even though we quit girl scouts 7 years ago). I like the drive and motive of the girl scouts bringing their booths in front of places that are making a lot of money, so they could as well! All i have to say is Girl Scouts got to make their money some way! Smart decision, girls! Must have been a difficult one but hey, you took it and it worked. Supply meets demand right outside that door! I am in full support of their sales strategy, afterall they are selling at legalized dispensaries. The girls need to sell to earn cookie badges and anywhere is fine provided it is safe, legal, and gets them their money but I believe it will be necessary for them to know what goes on in the dispensary as well as the reason behind the choice of that location so that while acquiring entrepreneural skills they can also learn about drug use and its consequences. Go girls!… love your trefoils but I think they are a little too pricey. Abigail-I have to admit not sure if I’ve had a Trefoil…but seems to be the most popular choice! Trust me, Greg…you’ll love ’em at first bite! It is a very smart idea to sell cookies there. However, I do not support the legalizing marijuana. Parents should be thinking more about the effects it could have on their girls, then how many cookies they are selling. I honestly don’t see a problem with this. The girls were very innovative and smart for thinking of it. Any american who wants to make profit would of thought the same way, but it just so happen to be girls scouts who were doing it. I do not see why this would be an issue. When I was a young girl I would not know why we were selling the cookies at this certain location. I do not think a young girl would really know why this location was picked. It is the parents helping out and choosing this location. But, I think it is smart to do it that way! Props to those young girls! From a third-party view I see no problem with what the girl scouts are doing. They are on property in which they have permission to be on and they are not inside one of the dispensaries. These girls are just taking advantage of a great opportunity in which they’re in a place where a majority of the people do enjoy these cookies, and they’re also helping the people in there by putting a smile on there face and a box of cookies in there hand. This was the smartest idea a girl scout could have ever had. Smokers get cookies to relieve hunger and girl scouts make a huge amount in sales everybody wins. The idea of them selling cookies in front of the marijuana store is a bright idea and I don’t see nothing wrong with them doing that it’s not like they are in front of an liquor store. I don’t see anything wrong with setting up shop near a marijuana store. Its not like their getting free weed for their services. I understand the concern some individuals have from this marketing strategy, but so long as their parents are nearby this shouldn’t be an issue. I believe that what these girl scouts are doing is genius! For one, the sales have gone up, so i i don’t see a problem there. The only real argument that I’m seeing is that it is wrong for the girls to be subjected to a shop that sells something that most of the country still believes is a narcotic. I can understand that, but times are changing and it is apparent that marijuana is not going to disappear anytime soon. Especially for the girls in those states, they are going to be exposed at some point, and as long as the parent has no concerns then I see no problem. These girls are showing superior marketing skills and its very impressive. Now, I had followed this when it broke in the news in California. And while there was a bit of an uproar. According to the Girl Scout Council in that area, they had approved of the scouts using that location as long as it was a legal shop and had the permission of the shop owners. Well, of course they were all for it and it was a brilliant idea. So, if the local hot heads have a problem, grow up. These kids are definitely taking advantage of a particular market area, which any good CEO worth his wait in gold would do, or find himself in a unemployment line. So have fun girls and make lots of money for your troops. Because I have never been a girl scout, I don’t know what the big deal about cookie sales is about. However, I see that a lot of people are okay with this, but I am not. I feel like this is demoralizing Americans even more. With legalizing weed and having little girls profit off of it makes me cringe. Of course I see that it’s an excellence “business” move, but I don’t agree with the girls being right outside of the place where weed is being bought and sold. If the little girls maybe moved across the street from the place and placed a “Say No to Drugs” sticker on their boxes, then I think the ladies would sell more because the buyers would feel guilty about what they’re doing in front of such precious little sweethearts. This is my opinion, and I see that it’s obviously different from the majority. However, I’m just trying to save the ethics and morals of today’s youth so they won’t turn out like Justin Beiber or Lindsay Lohan! I think that Girl Scouts are extremely adorable, and I know that I can never say no to a box of thin mints. I think that they should sell their cookies anywhere that will boost their sales, and where better than an area full of individuals with seemingly endless hunger. It would be a different story if they were selling from inside the building where they could be effected by the smell of buring “herbs”; however, as long as they are outside in the fresh air, they should make as much money as possible. I was a Girl Scout for years and my mom hated cookie sale time, mainly because my dad was my biggest customer with his “munchies” for thin mints. I recently found out that a troop here in Savannah has put a order limit on the sales, 120 boxes or the parents have to pay for the order until the cookies come in and sell. For years here in Savannah the girl scouts set up sales tables right in front of the Juliette Gordon Low house, well, in 2011 someone complained about them being there and now they are not allowed to set up in front of the birth place of girl scouts, they even wanted them to get peddler license but that was dismissed (about the only smart thing this city government has done). They are still pretty close, right across the street in a square. Parents complained about the location move saying that the cookies sales are not only for fundraising but teaching the girls business strategies. Well, what better business strategy is there then setting up the most addictive expensive cookie stand in front of a legalized marijuana store. Well earned badge I must say. Kudos!!!!! I say this as I sit here and eat my last tagalong cookie. LOL well, you sure know where to get more cookie supply! This is one of the best things I’ve read in a while. I’ve never sold girl scout cookies, because I am a male but I’ve bought tons of their cookies. How smart are these girls to set up shop right outside of dispensary shops and sell those delicious cookies, genius. If I had a little girl that was involved in girl scouts and we lived in a city that sold legalized pot, we would be set up right outside of it. I don’t see any real issue with it, it’s legal. It sounds like an intelligent decision to me. Future Langdale College of Business allstars! As a former girl scout and a parent of a scout, this is an interesting situation. I really had to sit back and think about this and how I would handle. If legal marijuana use is for health purposes, I would not have a problem capitalizing on the side effects of the drug. If the legal marijuana store is for the purchase of recreational drug use, I would not be in support of girls selling outside of those stores. In regards to the girls use of creativity to sell the cookies, I applaud them. As you stated, they saw a demand and took the opportunity to fill it. I would question if those that are upset about the girls selling, if they are upset they did not think of the idea first. As a parent I have to constantly remind myself that I can not contain my children in a bubble and I have to have challenging conversations. Therefore, this would be one of those hard conversations, explaining the use of marijuana and what it is used for medically and recreationally. As previously stated, I would not support girls being involved for recreational drug use. The girls have to sell a great number of cookies to benefit them personally and to benefit the troop because a large portion of the sales goes to support of the Girl Scout organization. I would like to see the amount of sales and if they sales have been significant enough to make an impact at the Girl Scout Headquarters. 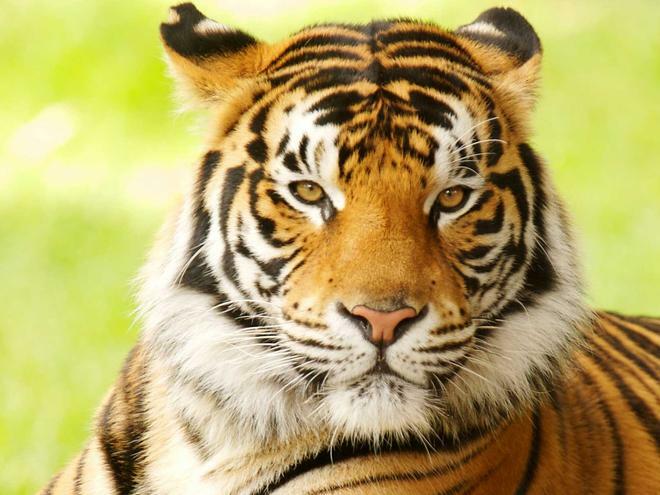 If the sales have been significant, I wonder will the organization walk away from the sales or create a rule that gives the perception that they have. Girl Scout cookies are only sold once a year, so we will see in the coming months how the Girl Scout corporation responds. Whether it is morally right or wrong to people, marijuana is now legal in the state of Colorado and people should expect to see more of this. I give the girl an A for strategy! The product that they were selling was age appropriate (cookies). I don’t think that the location should have anything to do with her sales or the money that she made for the organization. Wow! The next generation of entrepreneurs. I for one am very skeptical of such a sticky situation, yet, a legal one in many states. As was aforementioned in another post, the question becomes is it morally right to “expose” the girls to such a market. Apparently, “See a need, fill a need” – good ‘ol Dr. Seuss.